A new, construction-focused boutique insurance brokerage has launched in Winnipeg. Apex Surety & Insurance is the brainchild of five partners, with the goal of delivering “cutting edge solutions for the construction and real estate markets in Manitoba and Western Canada,” a release said. The company claims that Apex is Winnipeg’s first brokerage with a specialized focus on surety and serving the construction industry. Scott Fraser, CAIB, CIP – He has a decade of insurance industry experience, most recently serving as a vice-president at a global insurance brokerage. In that role, he provided strategic risk management advice to contractors, specialty subtrades and design consultant firms. Christopher Wiens, CAIB – Wiens specializes in creating solutions for contractors of all sizes, thanks to his familiarity with the complex surety and insurance landscapes in both Winnipeg and Toronto. He was recognized by Insurance Business Canada as one of 2018’s Young Guns, a recognition given to top insurance performers under 35. Sel Tse, CPA, CGA – Tse is a designated accountant and construction surety bonding specialist with over 15 years of experience. He was most recently a vice-president at a global insurance brokerage. Chris Wren, CAIB, CIP – Wren has been in the insurance industry for 15 years, previously working surety, broking, and account executive positions as a vice-president of the construction group of a global insurance brokerage. Scott Gilmour, LL.B – Gilmour has a decade of experience in various fields, having served as a corporate lawyer at a global law firm, managed a division of a large building envelope sub-contractor, and – more recently – created custom risk solutions for contractors and construction projects as a casualty underwriter with a Lloyd’s of London syndicate. He, too, was recognized as a 2018 Young Gun. In a statement, Apex partner Wiens described the need for surety bonding and insurance in the region. 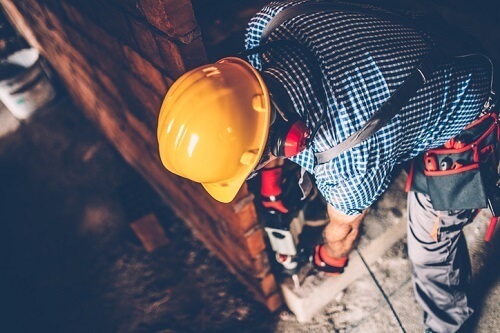 “As the construction industry trends to becoming more prone to disputes, the need for surety bonding and robust insurance policies becomes more acute – insurance and bonding play a direct role in ensuring both public and private projects are completed on time and on budget,” he said. Scott Gilmour, Partner, Apex Surety & Insurance Ltd.